Boasting the best seafood and prawns by diner reviews, Restaurante Parreirinha serves a big dollop of wow factor when it comes to their peri-peri sauce. Serving great food complimented by good standards and simple dishes roaring with flavour and exotic spices, this foodie establishment invites languid lunches and hearty dinners. Try flour-dusted bread rolls with deliciously white wine gravy of the mussel starter, and crisp potato crescents soaked in a moat of garlic and chilli stew. Enjoy favourites such as prawns, calamari, peri-peri chicken and prego rolls followed by to die for chocolate mousse. 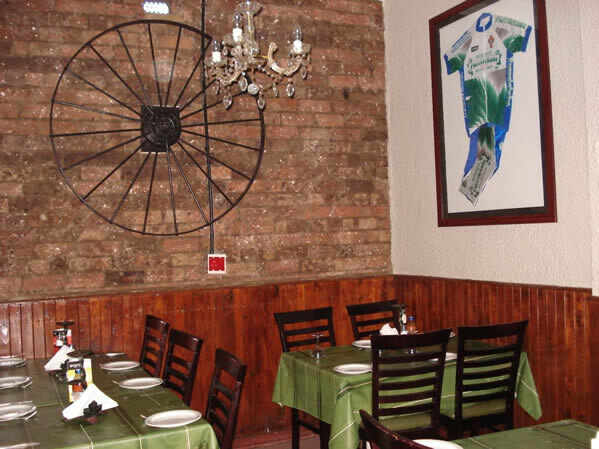 Restaurante Parreirinha seduces with delicious flavours and authentic cuisine, simply Portuguese. Restaurante Parreirinha is 9.9km from the centre of Johannesburg , the nearest airport 22.7km (Johannesburg International Airport).